Channel NewsAsia’s Smart Cities 2.0 series is slated to premiere on March 4. The weekly eight-part TV series follows founding principal of Pomeroy Studio-slash-eco architect Professor Jason Pomeroy’s journey to eight of the world’s most renowned smart cities, which includes Bandung in West Java. Pomeroy told The Jakarta Post via e-mail that Bandung is Indonesia’s leading smart city. “[Bandung] is a typical example of a rapidly growing medium-sized Asian city, which grew from 100,000 inhabitants in 1920 to 2 million today; and will expand to 4 million by 2030,” said Pomeroy. This rapid growth has come with consequences, such as pollution and traffic congestion, however, the city addresses this issue by using the power of social media to bring its citizens together, he says. 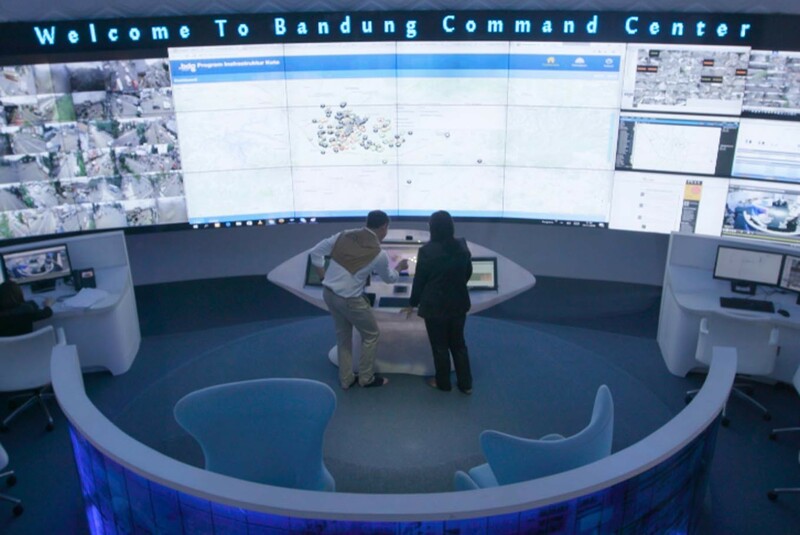 “The Bandung Command Center filters out trending topics like floods or traffic jams so the government can quickly attend to the city's pressing problems and apply its resources efficiently. Citizens can even push a 'panic button' on their phones if in danger and the center is notified within 10 seconds,” explained Pomeroy, adding that citizens’ love for social media had helped enhance people’s lives and elevated Bandung into a smart city. With regard to citizen participation, Pomeroy added that culture played a vital social function as it helped foster a sense of belonging, solidarity and identity.